A bad witch's blog: Pagan Radio is now live! Pagan Radio is now live! 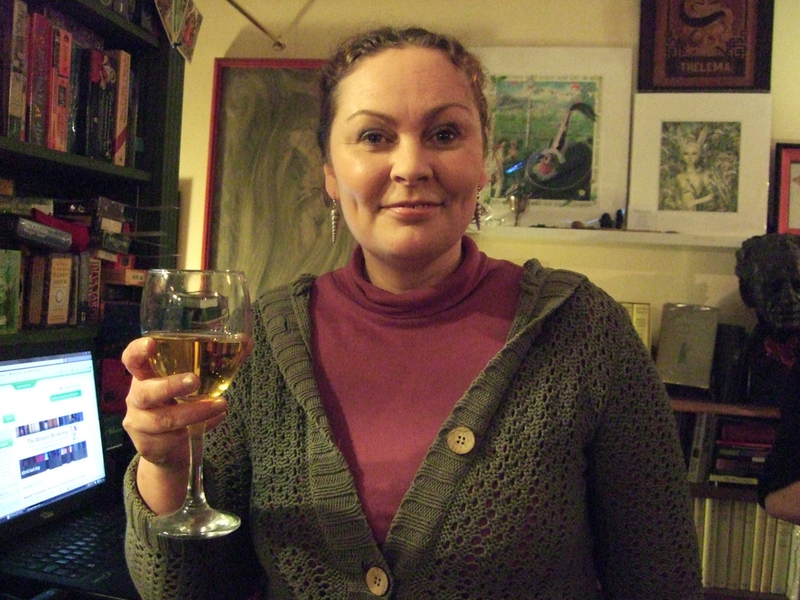 The picture above shows Eleanor Bennet, the creator and managing director of Pagan Radio, just after its successful first broadcast last night. The big switch-on took place at Atlantis Bookshop, in London. I was very lucky to be invited along to the launch party for this momentous new venture, as this is the first time pagans in the UK have had their very own radio station. 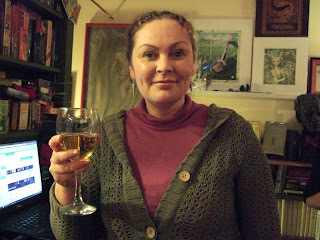 To listen to Pagan Radio, just visit http://www.paganradio.co.uk/ and click the green button at the top that says "Listen live click here".